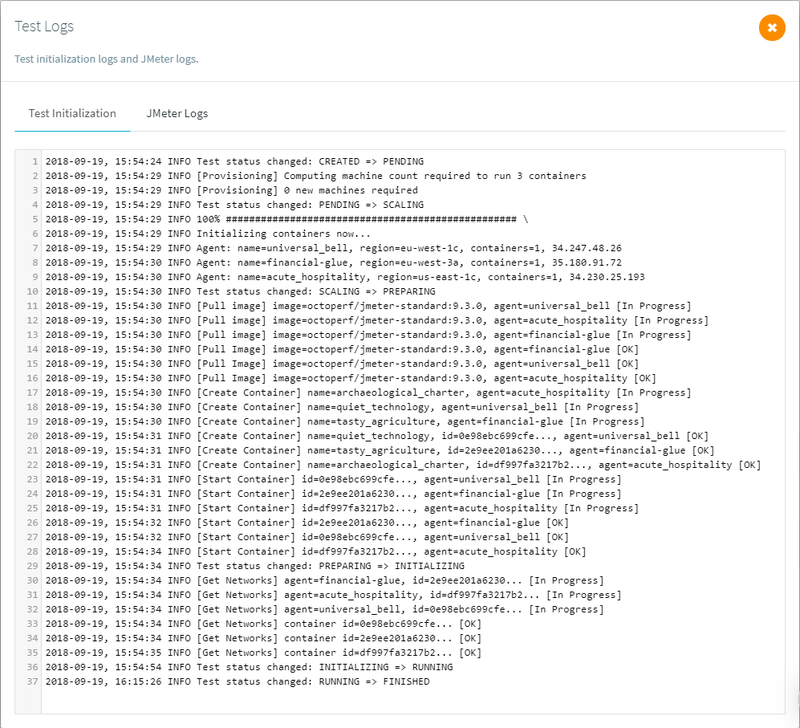 The test logs modal panel displays both test initialization logs and JMeter logs. FINISHED: the load test is done. ERROR: if the test failed to start. The test may fail to start if you try to run to many concurrent users on and on-premise load injector or if a Cloud provider failed to deliver instances. 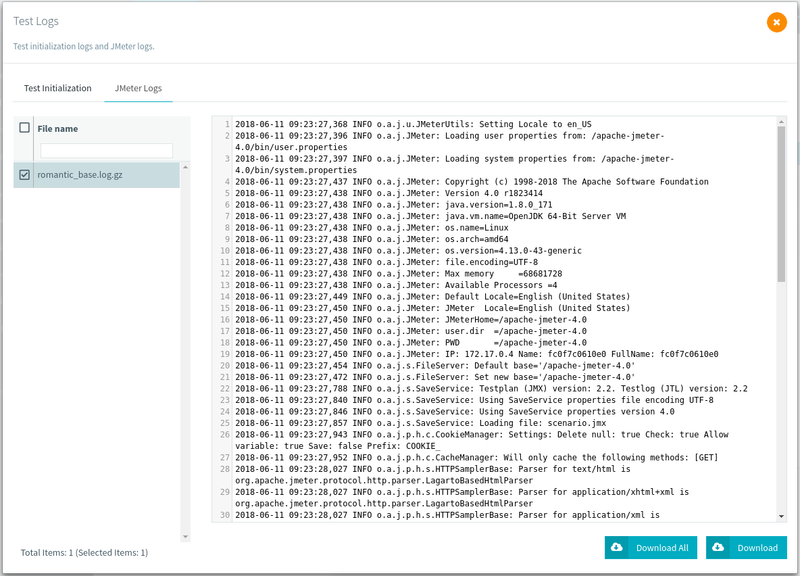 OctoPerf lets you view JMeter logs after executing a Virtual User validation or a load test. To view the 500 first lines of a log file, simply select it on the left table. Its content appears on the right. You can also download the full log file by clicking on the Download button. A .log.gz is downloaded when you click on it. You need a file compression tool like 7Zip to extract it. You cancelled a virtual user validation before it ended. The virtual user validation or the load test failed to start. The virtual user validation was executed too long ago, the log files may be erased in such case.